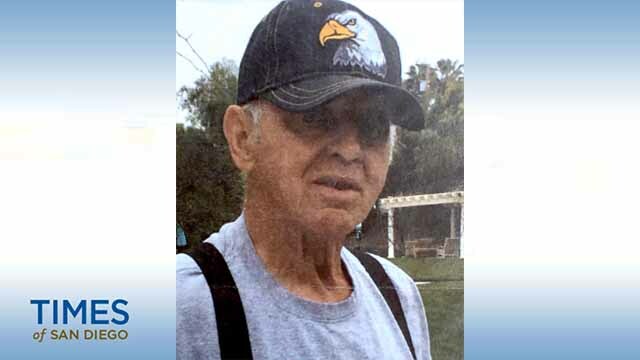 Authorities asked the public Tuesday to keep an eye out for a missing Alzheimer’s patient from Vista. Doug Nicholson, 75, disappeared from his home on Devon Place sometime after 9 p.m. Monday, leaving behind his medications, according to sheriff’s officials. He has spoken about wanting to go to Washington state, where he previously lived, leading authorities to believe he might be trying to travel there. Nicholson, who does not have a cellphone or access to a vehicle, is a 5 feet 7, roughly 150 pounds with blue eyes and gray hair. Anyone who may have information on Nicholson’s whereabouts was asked to call the San Diego County Sheriff’s Department at (858) 565-5200.